Tired eyes in need of an overhaul? This is Hollywood’s secret weapon – a max-strength eye treatment cream that minimises dark circles while fighting visible signs of ageing. 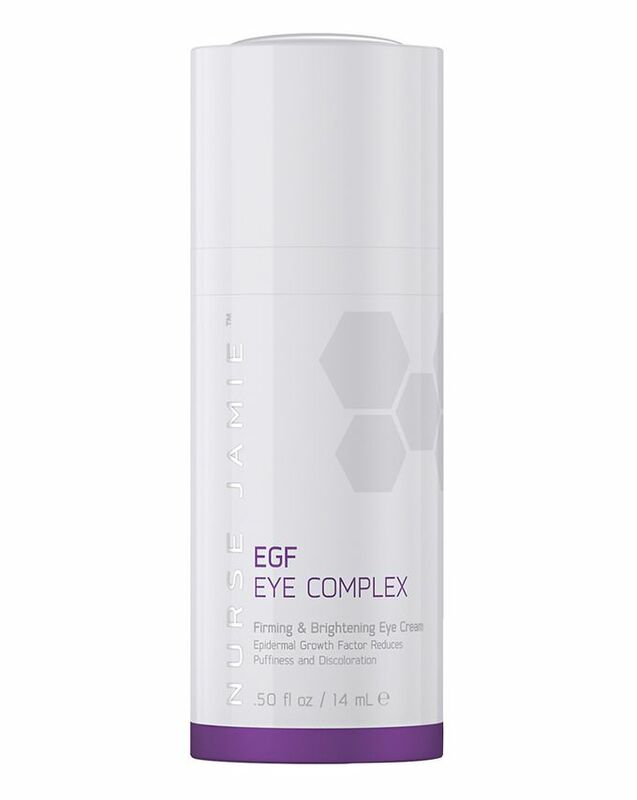 Containing cell renewal-boosting Epidermal Growth Factor, it helps to tighten and firm your face’s most delicate area in the blink of an eye. Like an eye lift in a bottle (without the eye-watering surgical price tag), Nurse Jamie’s EGF Eye Complex is Hollywood’s secret weapon for brighter, more wide-awake eyes. With Epidermal Growth Factor to boost cell renewal and oligopeptide to help fight fine lines and wrinkles, this eye reform cream combats visible signs of ageing. This addition of hyaluronic acid then maximises moisture retention to hydrate this delicate area while combatting crêpey-ness, reducing puffiness and diminishing dark circles. Tightening and firming over time, the more you use this age-defying cream, the better the ‘eye lift’ effect. After cleansing, gentle dab under eye brow and under eye area. I have been using this eye cream for a month now and unfortunately I do not see any results. The only positive is that it's very reach and moisturizing.